Beladora guarantees the quality and authenticity of every item we sell. Our parent company, Kazanjian & Fogarty, has been in business for more than 25 years, and we are known worldwide for the exceptional expertise and experience of our specialists and gemologists. When it comes to authentic vintage jewelry, our reputation in the jewelry industry is outstanding and we stand behind every item we sell with a full money-back guarantee, no exceptions. If you ever have a question or concern about the authenticity of any piece of jewelry purchased from Beladora, we gladly accept your query and assure you of a prompt and satisfactory resolution or return. The question of authenticity is a crucial because high-grade counterfeit luxury goods abound in today’s market. 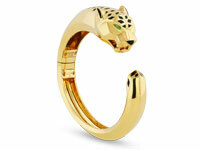 It takes a seasoned eye to know the difference between a genuine piece by Cartier, Van Cleef & Arpels, Tiffany & Co. 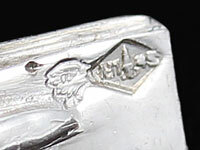 etc., and one of the many fakes which abound. Indeed, one of the easiest ways non-experts are fooled is to look at an old, originally unsigned piece of jewelry, that has been signed after the fact by a third party, and assume it is authentic vintage jewelry. At Beladora, we specialize in jewelry and nothing else. Not handbags, not shoes, not fashion, just precious gems and jewels. Our team of GIA-certified jewelry experts has a long standing reputation in the international jewelry industry and as a result, we are frequently called upon to advise museums, jewelry appraisers and auction houses in matters of authenticity and value. A library consisting of books and catalogs of the major designers is one of the many reference tools used. 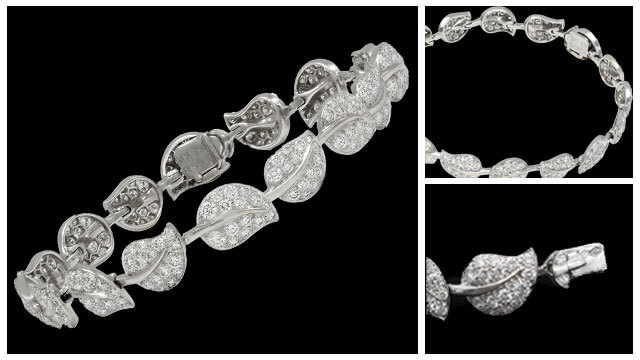 For example, how do we determine that this vintage Van Cleef & Arpels Diamond “Lotus” Bracelet is authentic? First, we look at the front and back, turning it over in our hands to see​ that the workmanship on ​the back is just ​as ​fine as the detail on the front. Using the jeweler’s most important tool, the loupe, we notice how precisely the ​diamonds are mounted in their settings, the manner in which the gold links are connected, the quality of the azuring, a most difficult and refined aspect of metalwork, and we look for ​flawless ​polish. We ​note the ​clever and sophisticated mechanism of the clasp and we identify the French metal mark for 18K white gold and the​ correct ​embedded maker’s mark for Van Cleef & Arpels. Once we determine that all the elements are in place, we then look to see that the piece of jewelry is in keeping with the level of artistry we would expect from a jewel made by Van Cleef & Arpels. We judge the technical difficulty of the craftsmanship, note the fluidity of the metal connections and the quality of the gemstones, which should be not only universally high, but perfectly matched.​ When all that criteria​ are met, we confirm the overall integrity of the jewel, front and back, inside and out, to insure that in every way it sings true to our experienced eyes. 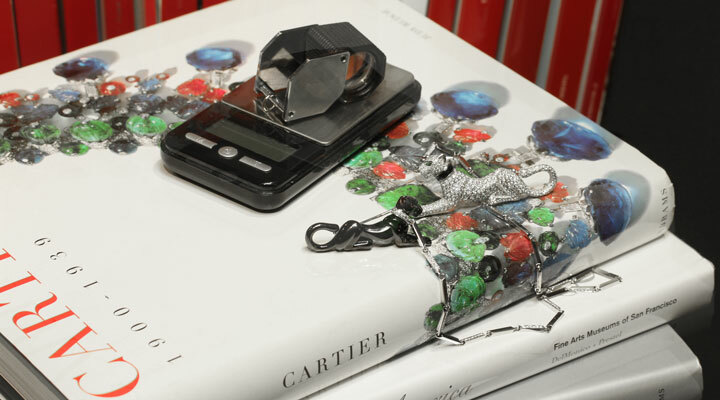 Every single piece of jewelry we sell is treated with the same level of scrutiny and care. On the rare occasion we have any question or doubt as to our opinion we always consult with the relevant maison, be it Cartier, David Webb, Tiffany & Co., etc. ​Our expertise is what guarantees authenticity and as in all things, authenticity is the bottom line. If you own a piece of jewelry you are considering selling and are unsure of its authenticity or value, please feel free to contact us for our estimate and opinion.